Born and educated in Romania, Martha Salcudean came to Canada in 1976 to teach at the University of Ottawa. She is a respected researcher in fluid mechanics and heat transfer. Dedicated to strengthening the collaboration between universities and industry, her industrial partners include Atomic Energy of Canada. She was appointed head of mechanical engineering at UBC in 1985 and later associate vice-president of research. Since locating in B.C., she has increasingly concentrated her research efforts on the forest industry. She is chair of Weyerhauser Industrial Research in computational fluid dynamics. 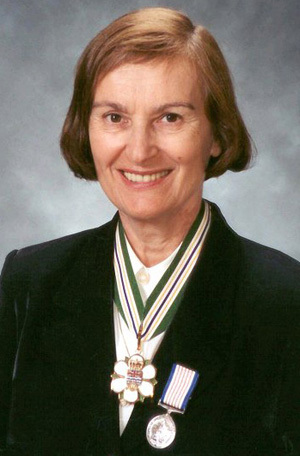 In 1991, the Science Council of British Columbia awarded her the Science and Engineering Gold Medal. She is a fellow of the Royal Society of Canada and the Canadian Academy of Engineering. She is the recipient of several provincial and national engineering awards.